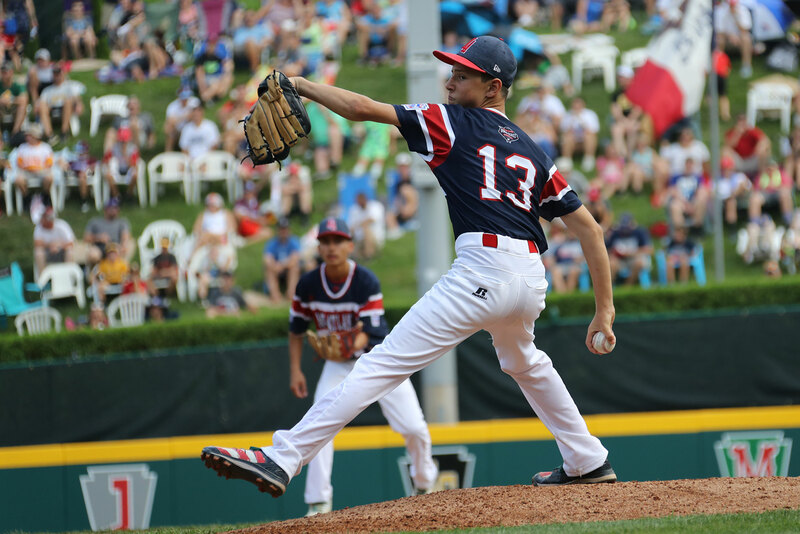 Mid Island Little League, the Mid-Atlantic Region winners, snagged a late lead and went on to defeat the Midwest Region Champions From Grandview (Iowa) Little League, 5-2 on Thursday during the first United States Region game of the 72nd Little League Baseball World Series in Williamsport, Pa. The game was tied at two with Mid-Atlantic batting in the bottom of the fourth when Jayson Hannah’s grounded out resulted in two runs. Mid-Atlantic took the lead for good with two runs in the fourth inning. Gregory Bruno was the winning pitcher for the Mid-Atlantic team. He surrendered zero runs, on one hit over 2 2/3 innings, striking out seven and walking one. Derek Mendez threw one inning in relief out of the bullpen. Derek recorded the last three outs to earn the save for Mid-Atlantic. Brody Watson took the loss for Midwest. He went four innings, allowing four runs on four hits, striking out five and walking one. Steven Martinez started the game for Mid-Atlantic. He went 2 2/3 innings, allowing two runs on three hits and striking out four. Gregory, Chris Bedford, Steven, Derek, and John Calabrese each collected one hit to lead Mid-Atlantic. Mid-Atlantic was sure-handed in the field and didn’t commit a single error. Chris Cancel had the most chances in the field with 12. Blake Larson led Midwest with two hits in three at bats.